Sunday, Aug. 19, was a day of celebration for millions of Muslims across the globe. The fasting month of Ramadan ended with the holiday of Eid Ul-Fitr (the festival of fast-breaking), at the beginning of the succeeding Islamic lunar month of Shawwal. In some countries, Eid Ul-Fitr commenced at sunset on Saturday, and in others on Monday. But in the Detroit suburb of Taylor, Mich., Sunday brought a distinctive commemoration of Muslim spirituality. The occasion was Baba Rexheb Appreciation Day, honoring an Albanian-born Sufi who immigrated to America and founded a large meeting house and compound in Taylor, known as a teqe. Hundreds of Albanian-Americans and others gathered at the teqe on Aug. 19 for a dinner commemorating this Balkan and American Sufi saint. 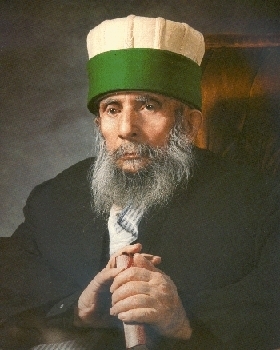 Baba Rexheb Beqiri (pronounced Rejeb Becheeri in English) was born in 1901 in the southern Albanian city of Gjinokastër, and entered the Bektashi Sufi order at age 16. In 1925 he was granted a degree as an Islamic teacher by the medresa of Tirana, Albania's capital. 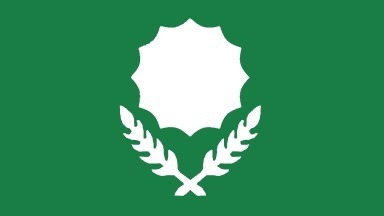 Haxhi Bektash Veli, ca. 1209-1271 CE, may his mystery be sanctified. The Bektashis were long a pillar of the Ottoman empire, as one of 12 officially-recognized Sufi orders. Yet their history is heterodox and counter-intuitive for Western observers. They are different from most Sufis in assuming a leading civic role while cultivating metaphysical traditions. Their identity is paradoxical; their mystical teachings are esoteric, but their devotional and patriotic songs are popular among many Albanians, and their activities for the public welfare are known to all. The Bektashi Sufis thus comprise a leading element in Albanian religious and social life, claiming up to 2 million Albanian believers. They and other Sufis maintain hundreds of sacred sites in Albania, Kosova and Western Macedonia. Indeed, the Muslim-majority Albanian-speaking lands are the only European region (outside the remaining Turkish territory bordering Greece and Bulgaria) in which Sufism is a vibrant, popular phenomenon, as it is in most Islamic countries. When Baba Rexheb was born, Albania was an Ottoman possession. It attained independence a century ago, in 1912. The Ottoman system in Turkey was replaced in 1923 by a secular republic. Sufi orders were officially suppressed in Turkey two years later, and the Bektashis moved their world headquarters to Tirana. Conflict between the secular authorities in Turkey and the Bektashis was also complicated, in that the Bektashis had a history, among Albanians, of favoring secular governance and public education. Like similar Sufis in Turkey and Iran, they support gender equality. They became prominent as Albanian "enlighteners" in the 19th century, publishing Albanian-language literary and mystical works in defiance of the Ottoman rulers' "Turkish-only" policy, and cooperating with Albanian Catholics and Albanian Orthodox Christians in the national effort for cultural advancement and independence. Rahmetli Haxhi Dede Reshat Bardhi, 1935-2011, may his mystery be sanctified. 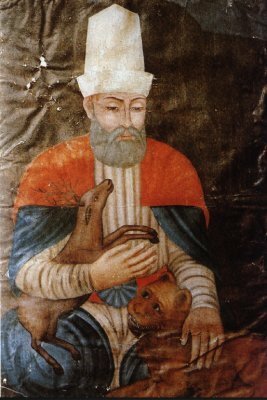 In addition, the Bektashis in Turkey protected dissident Muslims, and were described by Baba Rexheb as a "liberal sect of Islam" within the Shiite tradition. According to the late Haxhi Dede Reshat Bardhi (1935-2011), supreme leader of the order, the Bektashis were commanded during World War II, after Hitler's armies took control of Albania from Italy in 1943, to save the small community of Albanian Jews, along with several thousand Jews who had fled there from elsewhere in Europe. Jews were hidden successfully, and Albania was the sole German-occupied state with more Jewish residents at the end of the war than at its beginning. Most of the Jews who had escaped to Albania then emigrated to Israel and other places. Albanian "Righteous Gentiles" have been recognized at Yad Vashem, the Holocaust memorial in Israel. 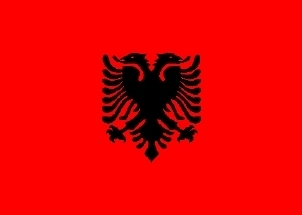 In 1944, however, Albania was taken over by the Communist dictatorship of Enver Hoxha. Baba Rexheb was an outspoken opponent of the new regime, and was compelled to leave his native soil. He lived in refugee camps in Italy before landing in Cairo in 1948. In 1952 he came to the United States and, in 1954, established America's First Albanian Bektashi Teqe, in Taylor, then a township almost 20 miles southwest from municipal Detroit. A farm property was purchased, and the Bektashi complex was expanded with the addition of guest rooms, a meeting hall, a library, a space for holy observances and more buildings as the years went by. With the death of Baba Rexheb in 1995, the Bektashi teqe in Taylor became a shrine, including his tomb. Enver Hoxha suppressed all religious life in Albania in 1967, proclaiming it the "first atheist state in the world." Of the four main religious communities in Albania -- Sunni Muslims, Orthodox Christians, Bektashis and Catholics -- only the last could depend on outside publicity for their plight, from the Vatican, for which the Albanian Catholics were the most severely persecuted. Albanian Sunnism, Albanian Orthodox Christianity and Bektashism were nevertheless kept alive in the United States. Sunni Islam, Catholicism and Bektashism also survived openly in Kosova, then part of the former Yugoslavia. 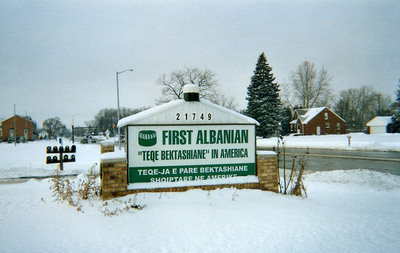 Baba Rexheb maintained good relations with members and leaders of all faiths and, in 1964, on the 10th anniversary of the foundation of his Sufi center in Michigan, praised America as "a country that assured [Albanian immigrants] not only a good living, but also the opportunity to struggle for freedom and protection of the country of their birth." He wrote a book, The Mysticism of Islam and Bektashism, translated and published in English in 1984. In its pages, Baba Rexheb manifested his open-hearted attitude by surveying the history of Sufism with insight and equanimity. He found value in all forms of religious belief and did not restrict his approval to specific doctrines of his own order. Today the Bektashis are free to teach their beliefs in Albania and Kosova, although they are repressed in Macedonia. 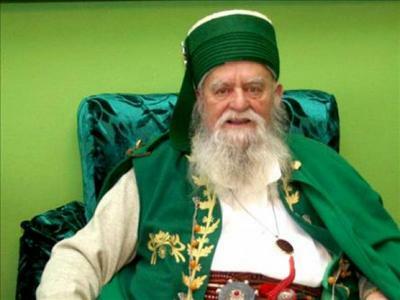 Baba Rexheb's book has been republished in Albania and is widely read. In America, Baba Rexheb made a unique contribution to religious life, deserving of greater attention and study. 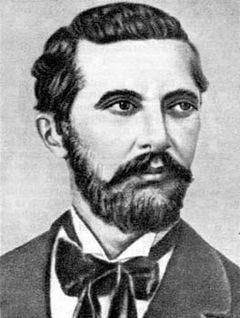 Throughout his experience as a mystic, he adhered to the principle enunciated by Naim Frashëri (1846-1900), a Bektashi Sufi and one of Albania's national poets: "All there is and is not in life is only God."